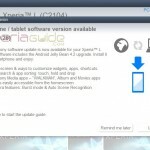 Android 4.2.2 15.3.A.1.12 firmware update was recently rolled on Xperia L which was a major update and brought many fixes for the bugs but it seems current 15.3.A.1.12 firmware is troubling many Xperia L users as per comments received by us. 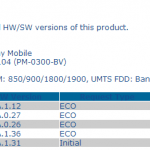 Just now we spotted another minor bug fixing update 15.3.A.1.14 firmware has been certified for Xperia L on PTCRB website. 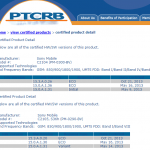 15.3.A.1.14 firmware certification is seen only for Xperia L C2015 so far now on PTCRB ans we hope soon it certifies for Xperia L C2104 also. Seeing Sony’s current firmware updating process it should come soon if it is actually meant to be rolled out. 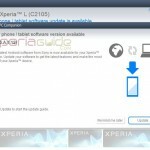 Check below the 15.3.A.1.14 firmware certification for Xperia L C2105. We hope this new 15.3.A.1.14 firmware fixes the proximity sensor bug where it remains lighted on sometimes and camera bug. Some users are also getting issues with their touch screen where it is not responding well. What bugs you are facing Xperia L users on current 15.3.A.1.12 firmware update, drop your comments below with your bug list. I m on 15.3.A.1.12 (w/ Thunderzap 3.0 kernel) ,but didnt faced proximity bug though. proxymity sensor bug asa well as that messag app is lagging enough like when opening msges only phone numbers are showing instead of names and after some time it’s showing the corresponding names. Mine is C2104 please inform us when this new bug fixing update will I receive for C2104. any update for my xperia Z ? it’s already on 4.3, what do you want an android 5 update ? Just updated my Xperia L(c2104) through OTA. Disappointed to see new bugs. Screen tearing problem still exists but it’s down to 4 to 5 pixels rows from 10 to 15 or so. Thumb nails of movies in movies app are still very blurry. are you facing any touch sensitivity problem..? 1. when restarting, all icon menu is stay on the folder now. 2. camera improvement, when portrait or landscape, no line crossing screen because is take effect when I playing PvZ2. 3. Touchscreen is get better and responsive. 1. My XL is still restart by itself. 2. Sometimes some application are close unexpectedly, such as gmail. 1. 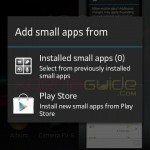 Please make it device memory and internal storage to merge into one internal storage like Xperia SP. Touch screen is less sensitive in C2104 Again hoping coming update will fix this bug. What ? Is this new 15.3.A.1.14 firmware available in HK ? Another bug I noticed in the recent update to my Xperia L is after ending an incoming call the home screen freezes, when I try to navigate, only the background wallpaper moves and nothing else And After exiting chrome browser, home screen restarts. The proximity sensor problem and surprised no one is facing the battery problem!! battery is sucking like hell in this update!! Please resolve at the earliest. 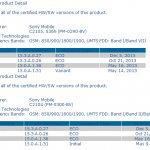 When Xperia L 15.3.A.1.14 firmware will be available? When will Xperia L 15.3.A.1.14 firmware available for installing? I’m facing one problem since i updated from 4.2.1 to 4.2.2. I.e when i am receiving any call after the call my phone is getting in some kind of silent mode. all sounds are coming from ear speaker like notification tone, key beep, all kinds of sounds even when I. Play music that also is playing through ear speaker not from loud speaker. Each and every sounds is being played by ear speaker. I bought a Xperia L for my sister last week. I noticed that the touch sensitivity is not good. while the screen is presses or scrolled with the tip of the finger, the phone doesn’t respond which other phone do. and while pinch zooming in browser and gallery the response is worse. does this phone commonly have this problem? please reply..